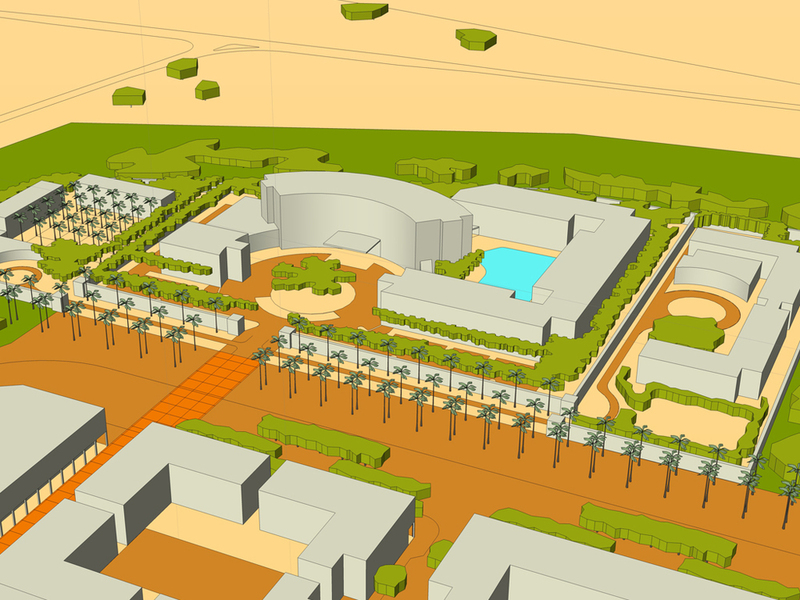 WESTERN PORTION OF PHASE 1, EMPHASISING THE STRENGTH OF THE MAIN BOULEVARD AND CONTEXT OF THE HOTEL COMPLEX. AN INDICATIVE REPRESENTATION OF THE HOTEL PRECINCT, SHOWING THE POTENTIAL FOR ACCOMMODATION. THE INTERSECTION ZONE BETWEEN EASTERN AND WESTERN PORTIONS OF PHASE 1, EMPHASISING THE IMPORTANCE OF THE TOWERS IN DEFINING THE BOULEVARDS AND AS LANDMARK ELEMENTS. THE SERVICE STATION SITE IN RELATION TO PATTERNS ACCESS.